A little white Supra, by no means a heap. For the tow truck with which his car would be mated. 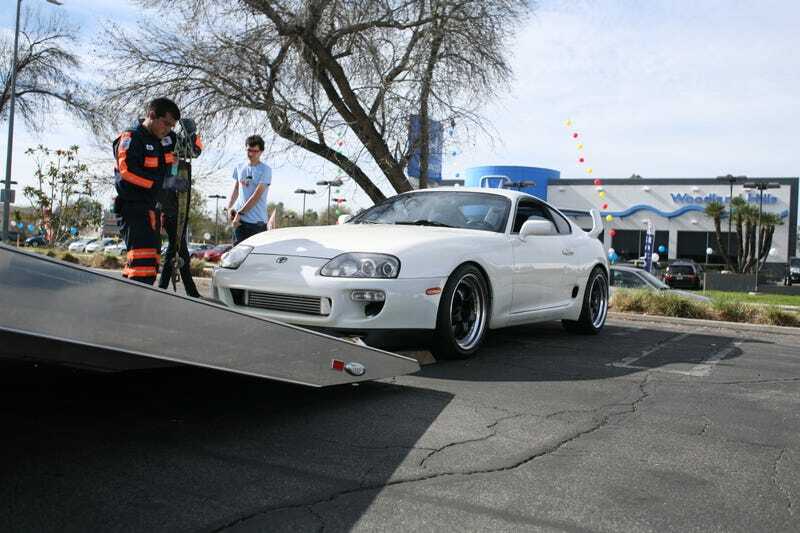 "That Supra's too low to get on my bed!" 'Twas only that Supra in the lot which remained. With that low front lip maintaining it's shape. I hope that the owner won't tear out his hair. And here's a reminder that I visited MAGNUS FLIPPIN WALKER'S GARAGE today! My visit to Magnus Walker&apos;s garage.